The TOFE interface dramatically reduces the cost of high-speed I/O functionality by taking inspiration from the PCI-Express standard and re-purposing its connectors and mechanical specifications. TimVideos and Numato are committed to developing expansion boards to add new features (such as VGA capture) to the Opsis board through the TOFE connector. We also plan to create simple adapter boards to other existing expansion I/O standards such as PMOD and the Digilent VHDCI. We hope that the significantly reduced cost of the TOFE interface will also enable the community to create new expansion boards we haven’t even dreamt of yet! Open standard that anyone can access without NDA or other agreements. Cheap connection interface that are easily accessible to any hobbyists. Supports high speed signals >5 Gbit/s. The aim with naming of a TOFE motherboard connector completely describes the features available. The number of lanes populated. To improve brevity, if the number of lanes populated is left out then all lanes in the connector should be populated. If the connector supports “bi-directional” or “uni-directional” signaling. The minimum operating lane speed. If unspecified, then it is assume the lane can operate down to DC. 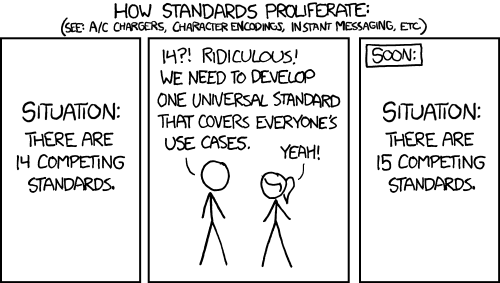 The compatible IO standards that are supported. Voltage levels which are compatible. Line encodings which are compatible. 8b/10b - Used by pretty much everything. 128b/130b - PCI-Express Gen 3 and higher. All together (from both 3.3V and 12V combined). Just via the 12V pins. Just via the 3.3V pins. Beacon signaling for PCI Express compatibility. The aim with naming a TOFE daughter board is to completely describe the features required for the daughter board to correctly operate. TOFE boards should be mechanically identical to PCI-Express half length cards in either full height or half height (also called low profile). Boards which adapt to other standards for peripheral interfacing. To PMOD - Simple passive adapter which allows PMOD based peripherals be used on a TOFE header. To VHDCI Adapter - Simple passive adapter which allows usage of peripherals designed for the Digilent Atlys board. To Arduino Shield - Adapter which is compatible with Arduino shields. Contains an ADC/DAC to be compatible with the Analog pins. To FMC LPC - Adapter which is allows FMC LPC compatible boards be used on TOFE expansion. Boards which add new functionality to TOFE compatible device. VGA Input - Adaption of Rohit’s vmodvga designed with a TOFE interface rather than a VHDCI interface. 4 x HDMI - Board which adds 4 x HDMI ports using a 8xTOFE connector. 3 x 1G Ethernet - Board which adds 3 (maybe 4?) x Gigabit Ethernet ports.
? x SDI - Board which adds SDI interfacing capabilities. A KiCad template for TOFE boards can be found on GitHub.